In this episode, Chris and Chris are joined by a hugely special guest and long-time friend: Jay Baer. 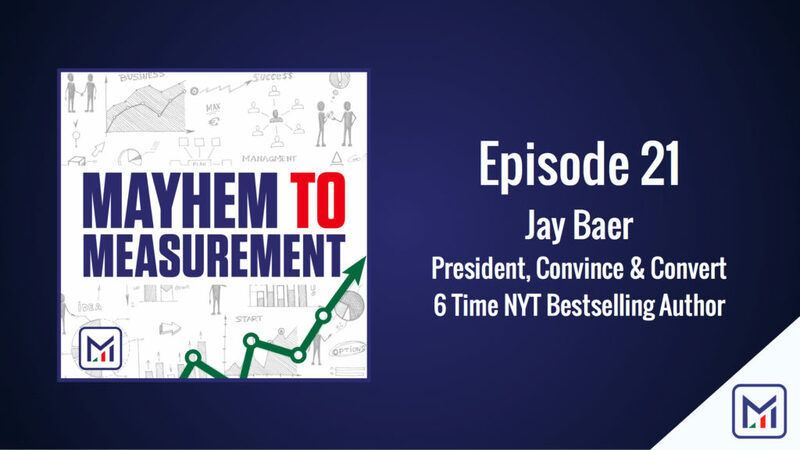 Jay is a massive figure in marketing, and along with founding several multi-million dollar businesses, he’s also a 6 time NYT bestselling author and President of Convince & Convert. During the conversation we talk about word of mouth marketing, and specifically Talk Triggers, which also happens to be the title of Jay’s new book. We’ll cover not only how to implement talk triggers as word of mouth strategies, but how to use data to find these triggers and to optimize on the fly. The application of this for all analysts is huge.